The technology world is rapidly moving towards microservices and there are well documented best practices on how to do so. However, data persistence has always been a challenge for most brownfield or greenfield microservices initiatives. Concepts such as ACID properties need to be considered when moving to a decentralized model. Data consistency is often a challenge that affects the overall service. This presentation takes a pragmatic look at a decentralized data architecture and how it aides a move towards a true microservices model. We also look at some of the latest data initiatives such as streaming data for persistence. Mifan has extensive experience in SOA and industry specific solution architectures and specializes in spatial architectures and GIS, eGovernment cloud, emergency management, and big data analytics. In his role, he works closely with customers liaising with WSO2 Engineering and Sales teams to analyze and define domain specific solution architectures in client domains. 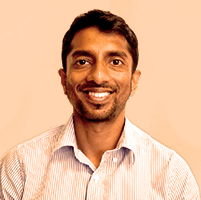 He is also a lead architect for many global projects, including the national initiative to build a cloud-based SOA platform for local government bodies in Sri Lanka.